as soon as I finish FNAF nightmares night 1, I'm going to focus all my effort on my no quite 100 follower special. I hope it will be my best animation yet! 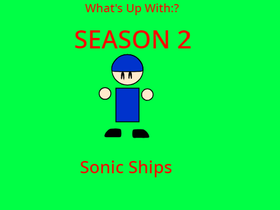 What's Up With: Sonic Ships? My studio of favourites and good creators!